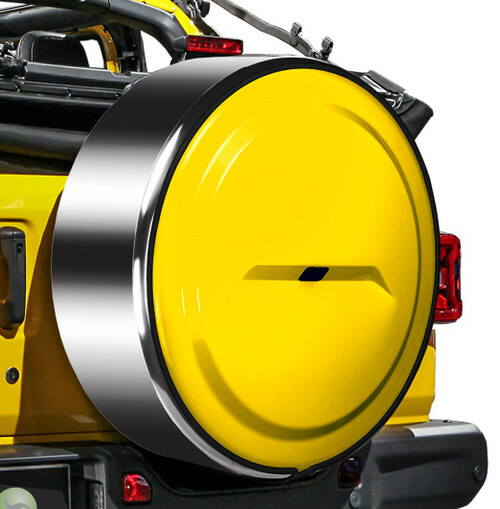 Boomerang Enterprises, Inc. (Boomerang), a leading manufacturer of OEM and aftermarket automotive accessories, is pleased to announce a new line of patent-pending spare tire covers designed and engineered to be fully compatible with the ParkView® rear backup camera standard on all 2018 Jeep Wrangler JL models. Boomerang solved the problem with two innovations in the form of an injection-molded camera hood that is integrated into their soft vinyl fabric tire covers and a molded rubber hood grommet that is incorporated into their Rigid™ and MasterSeries™ tire covers. Each is uniquely designed and keeps the tire cover properly aligned over the rear camera all while providing a clean, finished appearance. Boomerang has three categories of new JL Wrangler spare tire covers each with several available style variations: Soft, Rigid™ and fully hard shell MasterSeries™ Tire Covers. The Wrangler JL Soft tire covers are constructed of automotive grade vinyl fabric and feature the integrated injection molded camera hood and durable double stitching available with or without screen printed graphics. Boomerang’s Rigid™ tire covers feature a molded thermoplastic face that is sewn to an automotive grade vinyl fabric band that covers the tire’s tread and secures the cover to the spare tire. The thermoplastic molded face is both impact and weather resistant and features an integrated molded rubber boot that keeps the tire cover properly aligned with the rear backup camera. They are available in either a black textured or color-matched finish with or without custom graphics. 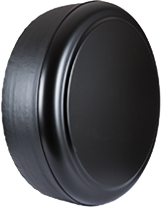 MasterSeries™ tire covers are Boomerang’s top of the line fully hard shell spare tire covers. 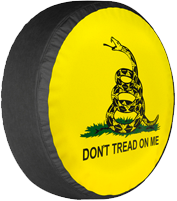 MasterSeries tire covers include either a black textured or color-matched molded thermoplastic face and are completed with a locking roll formed stainless steel ring that covers the tread and secures the face in place. 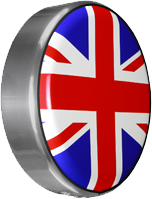 The stainless steel ring includes a keyed lock for extra peace of mind and is available in polished, black powder coated or a painted-to-match finish. 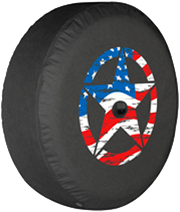 Boomerang’s new line of Wrangler JL spare tire covers are made in the USA and are backed by a 3-year warranty. The covers are available online from authorized Boomerang resellers and select Jeep dealers nationwide. Please visit boomco.com for additional information. Boomerang Enterprises, Inc., founded in 1995 in Boulder, Colorado, is a manufacturer of quality OEM and aftermarket automotive accessories. Boomerang’s manufacturing capabilities include plastic thermoforming and injection molding, industrial sewing and industrial painting. Their product offerings include spare tire covers and armrest accessories for several vehicle makes including Jeep, Hummer, Toyota, Land Rover and Ford vehicles.